Viola Pearl: Happy Birthday Lola! 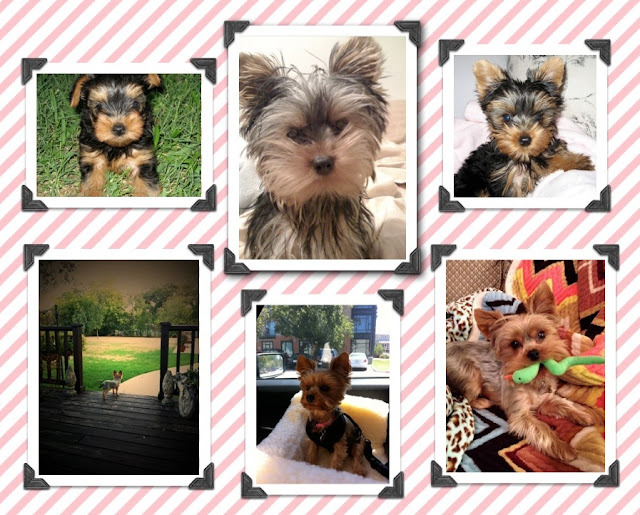 My yorkie Lola turned four last week so I thought I would share some of my favorite shots of her. She is an insanely energetic and loving little Yorkie! I remember the first day I got her she was just a little bundle of black fur that fit in my hand...time flies so fast. Surprisingly, at four she is still into eating shoes, with her favorite being snake print. Hoping she grows out of this soon because I thought only puppies did this! Oh well...happy Saturday!